Hailing from the elven kingdom of Loreth-Ilan, Ander was a scout and ranger for the elf-lords of his kingdom, patrolling the wilds of the borders between Aradan and Erredor. There he honed his skills in archery and survival, combating goblins from the White Vale Mountains and occasionally brazen packs of gnolls from the Black Spine Clan traveling too far north. Usually operating in small bands of two or three scouts, Ander preferred a more solitary life in the wild, free from the rule of the lords of Loreth-Ilan. One night, while on a solitary patrol, he made the decision to simply walk away and start the life of a solitary ranger in the wilds of the world, being bound to no one, deity or lord. 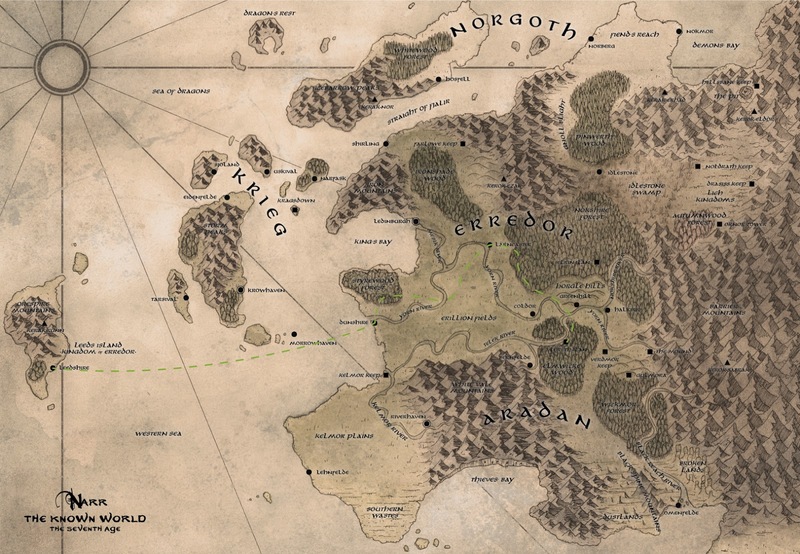 He set out north, through Nokshire Forest and eventually came to Larncaster to resupply. 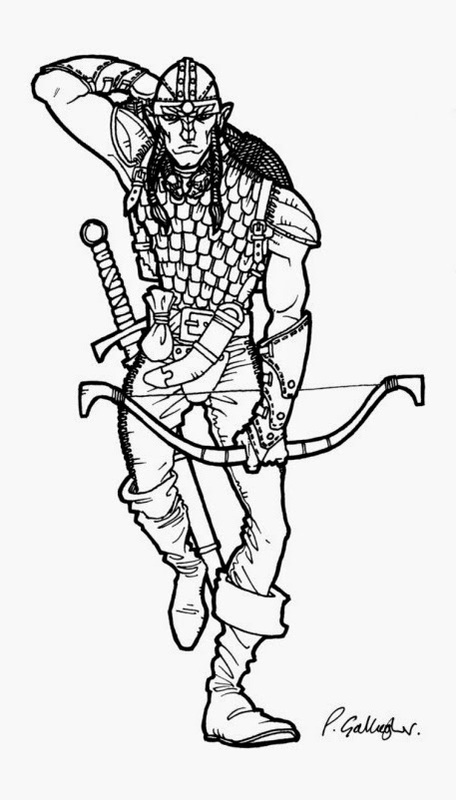 While in the Boar's Head Tavern, Ander met a merchant claiming to have fine long bow of elven craft, which he claimed was used during the War of the Fiend. Fortunately, the merchant, Klaus Reimhald, would only sell the bow to a "son or daughter of Corellon." The two made arrangements to meet at his shop later in the evening to conduct the transaction. When he arrived at the merchant's shop, he was greeted by five thugs—Klaus's henchman. Thinking him to be a mere wandering elf with not much sense, the thugs attacked him, but were eventually dispatched after a brief melee in the shop. Once the five lay dead at his feet, Ander found the bow, only to discover it was an obvious forgery. He grabbed some supplies for his troubles, and quickly left Larncaster, heading west. Klaus immediately put a bounty on his head, and after thee day's journey, a bounty hunter by the name of Flint Osterwald accompanied by three of the city's watch found him. Once Ander realized the four men were uninterested in his side of the events and only wanted to collect their bounty, Ander managed to escape by wounding them with a few well placed arrows. Being a wanted elf in the area, he headed west to Dunshire to take a ship to Leeds Island, far from the grasp of the local authorities and bounty hunters. There he could he could simply live off the land in peace and find occasional work as a tracker or game warden to the nobles.